There are 13 total NFL players on both the New England Patriots and Philadelphia Eagles active rosters and practice squads who did not play college football at a Division 1 or FBS school or program. All 13 of these players played college football below the FBS level. That means each and every one of these Super Bowl 52 players really beat the odds. It's pretty hard to make the NFL even if you play for a D1 or FBS school but to make it from a college football program that plays below the FBS level is incredibly tough to do. Most of these players have contributed quite a bit to their teams success this season. 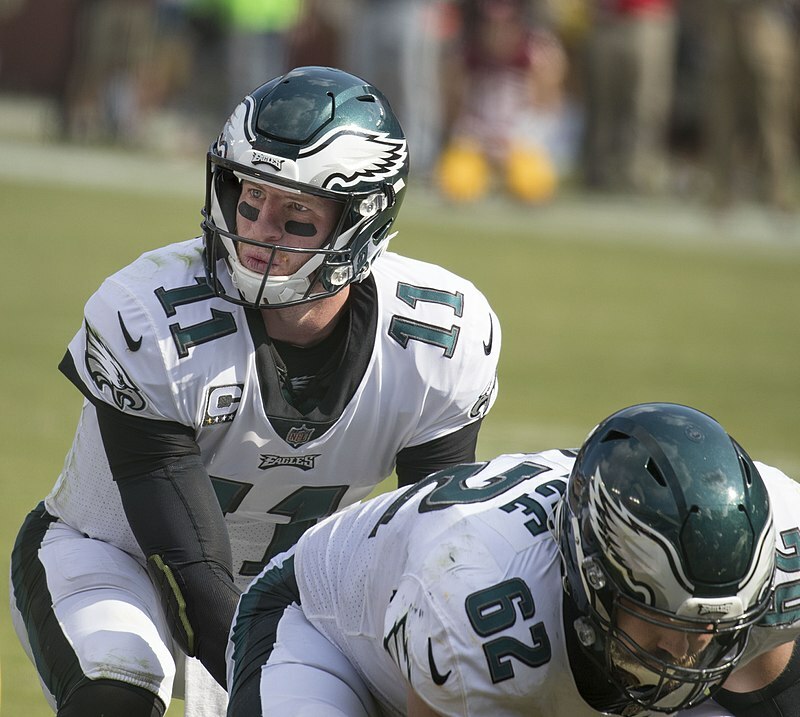 Carson Wentz, who played for North Dakota State in college, is not on the list because he is on injured reserve and cannot play in the Super Bowl. All the players below will either play in the game or could play if activated from the practice squad. Watch for these Bakers Dozen players in Super Bowl 52 on February 4, 2018, at U.S. Bank Stadium in Minneapolis, Minnesota. The Patriots starting CB Malcolm Butler played in college for Division II school the West Alabama Tigers. Patriots FB James Develin played college football for Brown in the Ivy League. Patriots WR Chris Hogan played one season of college football at Monmouth College after playing four years of lacrosse at Penn State. Defensive back David Jones played college football for the Richmond Spiders in Richmond, Virginia. Tight end Will Tye played college football for the Stony Brook Seawolves in Sotny Brook, New York. Tye could be active for the Super Bowl if Rob Gronkowski can't play. Defensive end Dryan Braman played college football for the West Texas A&M Buffaloes located in Canyon, Texas. Safety Corey Graham played in college for the New Hampshire Wildcats located in Durham, New Hampshire. Now UCLA coach Chip Kelly went to New Hampshire and was the offensive coordinator there from 1999-2006 while the team set tons of offensive records. Linebacker Kamu Grugier-Hill played college football for the Eastern Illinois Panthers. Both Tony Romo and Jimmy Garoppolo played there also. Garoppolo was on this list last year for the Patriots and he got a $79,000 bonus when the Pats made the Super Bowl even though he was traded to the 49ers during the season. Long snapper Rick Lovato played for the Old Dominion Monarchs in college. Rick is not Demi Lovato's husband which Tony Romo joked that he was. Tight end Billy Brown played for the Shepard Rams in West Virginia. Wide receiver Rashard Davis played for the James Madison Dukes in Harrisonburg, Virginia. Safety Harold Jones-Quartey played college football for the Findlay Oilers in Findlay, Ohio. Safety Tre Sullivan played for the Shepard Rams in West Virginia.